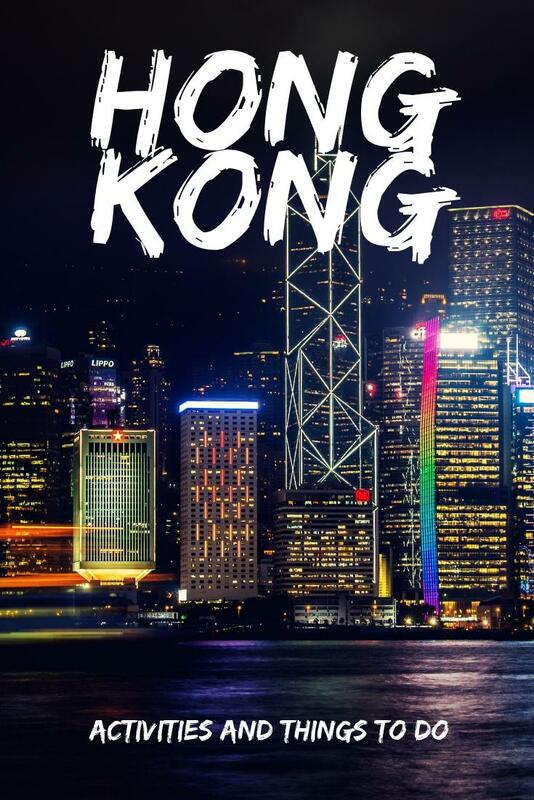 Hong Kong welcomes you with an iconic skyline, a legendary kitchen, and lush, protected nature where rare birds and colorful traditions thrive. You may find yourself swaying along on a historic double-decker tram, cheering with the hordes at the city-center horse races, or simply gazing out at the glorious harbor. Escape the city limits on one of the world's smoothest transport systems and spend your day wandering in a Song-dynasty village, hiking on a deserted island or kayaking among volcanic sea arches. The city also offers a plethora of shopping opportunities. Every budget, need, and whim is catered to by an impressive assortment of venues. It is also one of the world's top culinary capitals. So deep is the city's love of food and so broad its culinary repertoire that whatever your gastronomic desires, Hong Kong will find a way to sate them. Underneath the glass and steel of Hong Kong's commercial persona is a dynamic cultural landscape where its Chinese roots, colonial connections, with options like indie music by the harbor or Chinese opera in a bamboo theatre, plus thousands of shows staged year-round at the city's many museums and concert halls. With so much to see and do, Hong Kong is a great place to experience, and there are several options for exciting activities and tours in or near the city. Your relaxing evening kicks off with departure from a Hong Kong pier. You'll embark on a scenic journey across the Victoria Harbor on a 45-minute Chinese boat sightseeing tour. During the ride, you can lounge on soft cushions and enjoy your drinks while taking in the world-famous Symphony of Lights show. This amazing show takes place along the skyline of Hong Kong as laser beams light up the buildings along the water. It is truly a sight to behold if you're in this dynamic city. Optionally, dinner is offered on the boat for an extra change. The amazing cuisine comes as a choice of a 6-course or 10-course meal featuring seafood, appetizers, dessert, soups, and more. If you're in Hong Kong, you MUST try Dim Sum! Essentially a series of small dumplings meant to be shared family-style, Dim Sum is a method of cooking famous to southern China and Hong Kong. What could be better than tasting all of these amazing and delicious culinary treats? How about this: a Dim Sum tour on a bus that also provides you with a great overview of the sights and history of the city. Riding on a very comfortable double-decker bus, you'll get to visit Michelin rated restaurants and taste the amazing and award-winning cuisine of Hong Kong. Your friendly local guide will collect you from your Hong Kong hotel and transport you in air-conditioned comfort to Ocean Park for a full-day tour of this popular destination. Skip the lines thanks to pre-purchased admissions tickets and immediately enter the park, where you can explore the 215 acres with help from your guide. Enjoy the park's two distinct areas - the Summit and the Waterfront. Travel between them using the sky-high cable car, outdoor escalator or the funicular train. Each provides incredible and distinctive views, so try them all. You'll have a chance to see giant pandas, red pandas, alligators and other land animals at the Waterfront. A massive aquarium offers a look at life under the sea, too. Take a trip around the world with exhibits that showcase life in Australia and Old Hong Kong, too. Afterwards, follow your guide to the Summit, where you can enjoy thrilling rides and speeding roller coasters. Hold on tight as you plunge some 20 stories on the Abyss Turbo Drop or take the kids on a handful of the tamer rides in the park. The popular South Pole and North Pole exhibits offer a look at penguins, sea lions, and arctic foxes and it's even possible to see daily animal feedings at the Ocean Theater if you play your cards right. Your friendly guide will ensure your experience is filled with fun. Food and drinks are available for purchase throughout the park. This 3-hour Hong Kong market walking tour of the Kowloon area kicks off in the bustling flower market. You'll make your way to the famous Mongkok district, which is known for having the highest population density in the world. Upon arrival, you'll experience the energy, chaos, and excitement of local shops, produce markets and daily life in this colorful destination. You'll make stops at the fresh meat and vegetable stalls, and then see more areas dedicated to clothing, jewelry, and other wearable goods. Your guide will also take you through the stunning Jade and Goldfish markets. This incredible tour also includes a stop at Tin Hau Temple, one of the oldest and most traditional complexes in Hong Kong. Have your future told by a local mystic or settle in for a game of chess with locals under the shade of nearby banyan trees.